I want with this post talk a little about how you can find a niche for affiliate marketing. What I am saying here is a Micro niche and how you can find your audience to it. First of all, a niche synonymous with a group of people having the same interest. Your niche can also be a service need you for example covers in your local area. Are you craftsman then your craft your niche. Here you can get a wider audience. That this is important to you either can or down the road is willing to stand out and become the people learn from and follow. 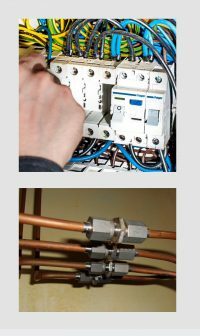 Like if you work with electricity so there are also several different types of jobs you can have an electrician to be out and do installations in our homes is a type of a second could be the one who is on construction sites. Each one of them has a particular field of study. In the same way, it works with affiliate marketing. 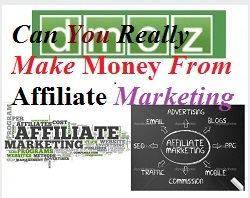 It should be an interest you share if you want to work with it on an affiliate website. You have to be very accurate to start. I started a smoking cessation and use e-cigarettes for that purpose. Of course, I also started a website on the subject. If I have to describe everything about the issue at once, so it will be very messy, that’s why I decided to make an all-round description so that others can get started. But then, I’m going to write about the fluids and the different taste as you can get. I want to test some different formations if it is possible, I want to discuss the content of nicotine in the liquids, then I, of course, link to some information about how dangerous they to regular cigarettes. I would be the first items keep me very tightly to the subject when the subject of e-cigarettes a reasonably broad niche in itself. So I will start out with an initial set and start working with specific fluids. Now you are thinking enough is not it a bit too narrow too. Yes, it is very narrow. And it is also what. But each issue may be related to an article in which I both have tested the product and the taste of the liquid as the subject to fill substance in the article. If I understand to turn to the audience who like me are going to use this method to quit smoking, so I have come a long way down the road. Here my age who would like to quit the fags fit very well to be my audience. So let’s say that this is a man who run very car which is between 35 and 50 years old. As almost chain smoking in the car. Although my choice of what I want to write about is very narrow and the audience that I will frame is tiny, so it is online somewhere, and they are also looking for answers to exactly those questions that I via my articles describing. If I start as narrow, as I describe here only a small, inexpensive starter kit. 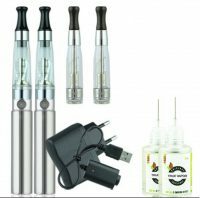 Then I use a lot of energy on to describe some different flavors that you may test either in a vapor business or by buying a small portion of the web. I could including start creating my reviews of the taste. Sometimes I could give some advice on how to maintain and let us launch the set. I would go still through my lyrics or videos to keep its small audience. At this point, I have not thought about adding the affiliate link. I have not studied where I can find it. I must first have created some traffic to my new page, and I want to contact my audience before I try to sell something to it. Ok, I have thought about an audience. How do I know they are there and how do I contact them. Yes, what do you do when searching for information. Of course in the old days, we went to the library. But we apparently do not more, no we start a search in Google, for example, to ask a question or use the keyword itself, in this case, will it be e-cigarette. Just by this simple search, you will see a variety of options and topics you can explore. Each I mean using if you are interested in e-cigarettes. As interested will you meet more than one article on the subject? But that’s because that by only searching a word that I have done here, so you get a very wide range of pages within the topic. Here it will also generally be throughout all who are interested in the product who are looking at this one word. But you build your page on one of the phrases that Google shows. Then you get here already cooked topic much more down. I will, of course, build my context around fluids to start. Already here, I have a much narrower audience to approach me. It is also what I seek. Let us once again boiling topic on down, let’s say that we consciously try to turn to my age group who have suffered the behavior as I have just described, and here begins to create some advice on how you can take advantage of a starter kit. About how to find the taste that suits you and how to maintain and use the starter pack. Are there any that are inter ace? How do I know that the people are looking at the subject? The image above the clear evidence of Google shows me what is. Yes, the sentences under the keyword are related searches all something I can use to drive traffic to my new site. Good enough am I going to find some headlines for my articles here I am going to get some more information on the subject. Google planner is one of the tools that I can use for this purpose. True, it is designed primarily to create paid ads on Google, but I can easily use it for my purposes here, and it’s something that I ever did when I write in Danish. It can be a little messy, and you must make your brainstorm and even organize your keywords. It is for me a little time-consuming way of working. So I’ve chosen to use a tool where I got these measurements much more organized. It is not necessary, but it is a huge help to your research. Ok, I’m still not reached the point where I want to add an affiliate link, I would like readers to my articles. So what I do is write some reviews and some introductions which I use the keywords which I find both using Google but also using my paid tool. Here I will make sure that I from my texts try to turn me tight to my audience. I can use both my research from articles, but also my experience with the products. Do I get any visitors or? I do not know which article being read most and that’s why I want a series that would like in their way to turn to my small audience. When I have created, trust my readers, and they both are on the page but also have begun to act with me. It may be that questions or opinions about what I have written. I am now beginning to get traffic on my side. Traffic that I can track via Google analytic and search console. I have been active on the side for some time and has regularly added new articles and pages. I feel that I have started to build confidence enough to generate sales. Only at this point, I start looking for an affiliate network where I can get a good deal and some good percentages of sales. 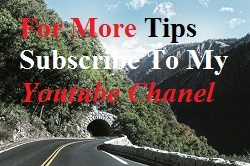 Here I will then find the specific products which I have written about in my reviews and add your affiliate link there. Now it so to build for my audience. As I said, I have here a little niche that I cut to a very specific audience. It must help to move either to a complete stop smoking as the primary purpose of the page. Or to buy some additional products that relate to the inhaling steam. Now I can start writing about batteries and chargers I can start making judgments and instructions for them too. How do I know that there is interest? The same can I do with the containers that you need to pour liquids. But as I said there are over 500 million different new searches every day and you have a topic that you are good at and know nothing about or do just want to jump into it and find a problem yourself that you can work with as is there are untapped opportunities. Yes, there is not the product that does not have an affiliate program attached. Where have I my information? If you want to learn how to get started, then see here where I have spent the last three years to expand my online knowledge about making websites which can be used by local merchants. But also be used to create an income from affiliate products. Check it out it costs nothing to investigate. And yes you get a page that you can start out with not only that you also get ten lessons. Yes, we meet, of course, on the other hand. Use your first week to assess whether it is something for you. Write to once you have arrived and let us find your niche. Want to know more then you can always write me down in the comments. So finding a niche can be finding a group of people who want to purchase a product or a service or it can be about finding a problem that people have like quitting smoking and suggesting ways of letting them quit. That sounds like fun. If I’m looking to really learn this in-depth what resources would you recommend? I know there’s a lot out there. Thanks for the comment Darren! Yes, finding a niche is basically to find a group of people who can use your story to something. The reason I have chosen to write about e cigarettes is that I have tried to quit tobacco with more research-friendly initiatives. Where none of them have worked for me. I know that there certainly are others who are fighting the same battle as me. therefore I have found out that by telling my story so I can maybe help the group of people and maybe get them to help me too. It’s a win-win situation for all parties. and for me it is what a specific niche is about. I would for example have new steamers to read my articles because they do not belong to my audience.